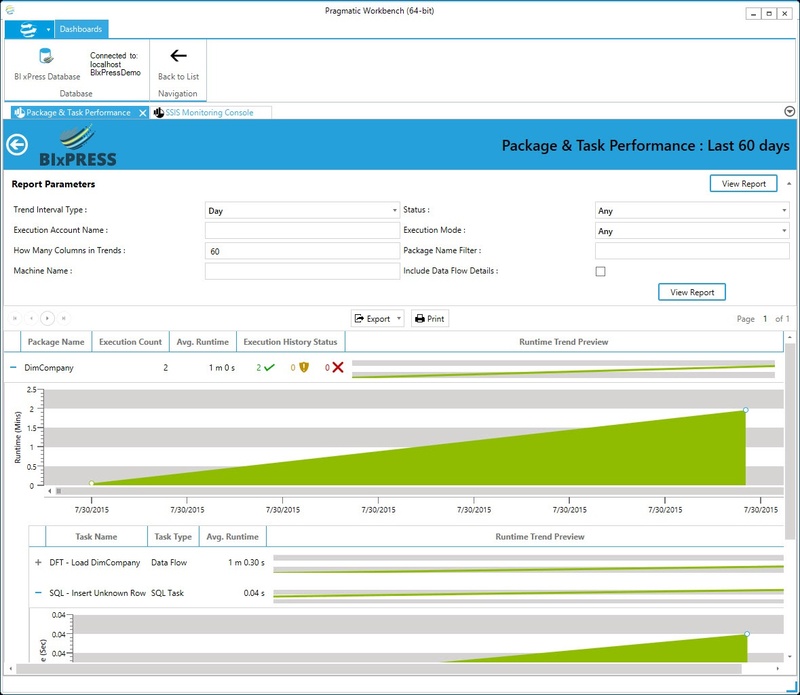 BI xPress has built-in features that make the management and monitoring of your SSIS packages seamless. You can easily visualize the state of your packages, determine where and why issues occur and get detailed information on their performance. 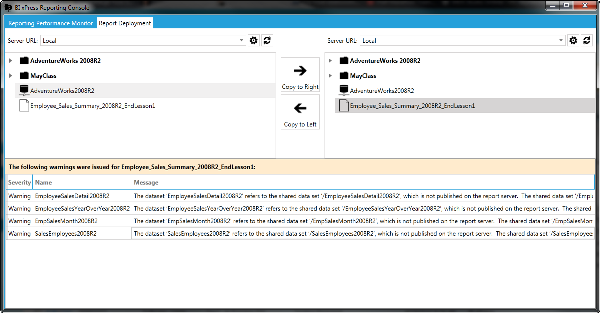 SSIS Monitoring Console displays data recorded during the execution of your SSIS packages. There are numerous reports included displaying real-time monitoring, performance information and execution trend data. 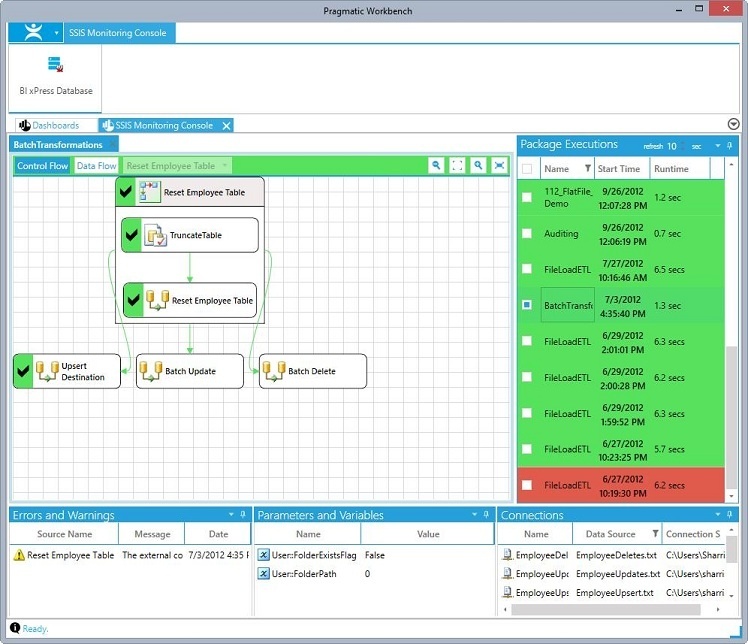 Data flow tasks are automatically detected and shown in the Monitoring Console. Auditing Framework Wizard makes it easy to add or remove instrumentation in your packages so you can customize the amount of detail you see. Report Deployment Tool enables you to move reports from one Reporting Services instance to another with a simple drag and drop operation. Easily deploy reports from development, QA and production servers by using a straightforward interface. 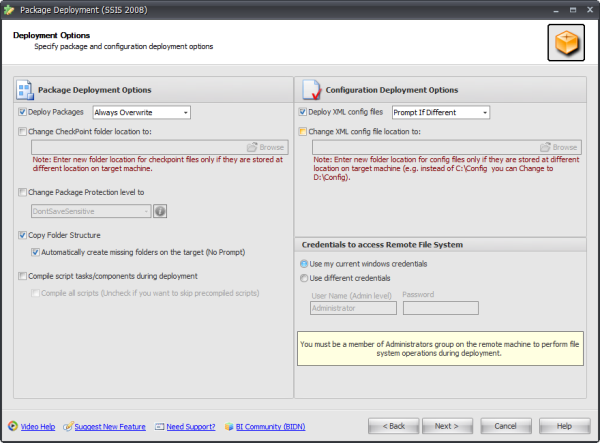 Package Deployment Wizard in BI xPress gives you more options when deploying SSIS packages. Users can deploy multiple packages at once, without having to deploy an entire project. Two-way deployment allows copying packages from a target location to a source. You also have the ability to copy packages from the file system, MSDB or SSIS server. 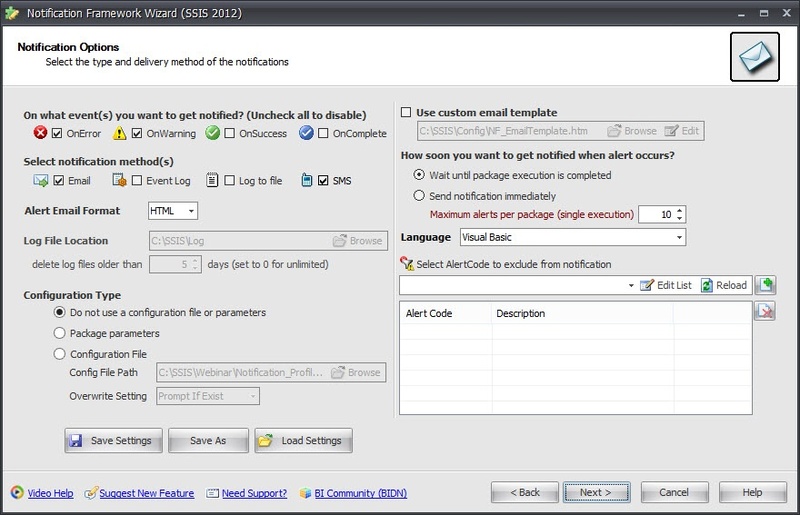 Notification Framework Wizard allows you to create notifications based on events in your SSIS packages. You can be notified through email or on your mobile device by specifying a phone number and service provider. If you are using BI xPress Server, you can take advantage of powerful Notification Engine integration to have full customization of the notification format, multiple delivery options, and the ability to send notifications based on severity, package name or other dynamic criteria. SSIS Catalog Import tool enables users to import native performance and execution data from a 2012 or later SSIS catalog to the BI xPress auditing database. This makes it possible for users to view execution data for packages that do not have the auditing framework. It also enables you to combine information from multiple SSIS server catalogs into a single location for reporting, so you can get a consolidated look at all of your SSIS packages. THE PERFECT DBA SOLUTION FOR COMPARING AND SYNCING CHANGES BETWEEN DATA AND SCHEMA STORED IN DIFFERENT DATABASES.